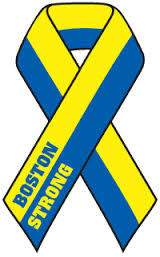 Wow, what a crazy and emotional week it has been; and it hasn’t even been a full week yet since Monday’s tragedy. I saw this note on my twitter feed this morning from Mayor Menino’s office and wanted to share it. The title of the letter is: Day of Prayer and Healing, which inspired the title of my blog post. Let’s take care of ourselves, reflect on this crazy week, and never forget those we lost & hurt, and those who kept us safe this week. For those needing a little extra support this week, the staff from the Public Health Commission will be able today from 10-2pm at 617-534-5050 for counseling as well as Monday-Friday 9-5pm. The Red Cross also has a disaster hotline at 1-800-985-5990. Hope everyone has a better week, and take care of yourselves.